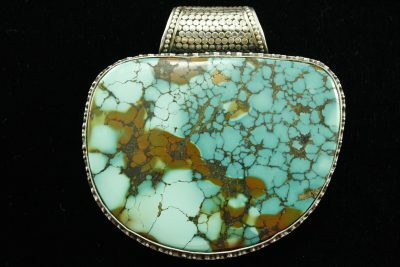 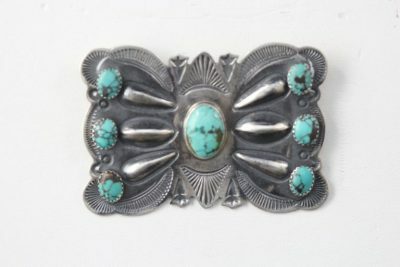 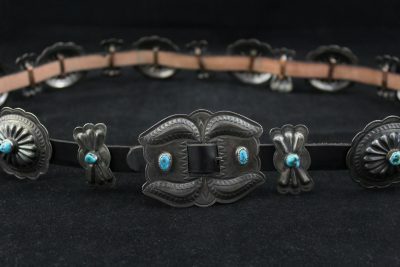 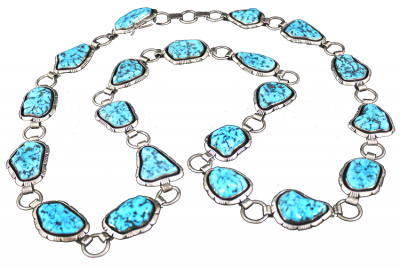 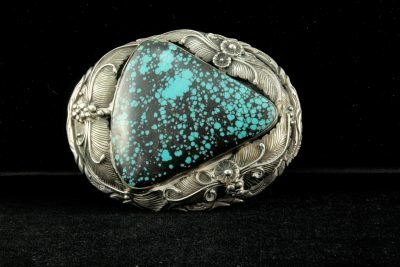 Turquoise sterling silver concho belt was made by Jacob Poleviyouma Jr. 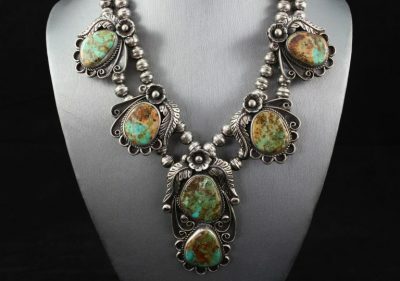 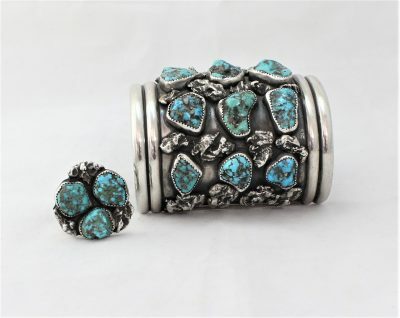 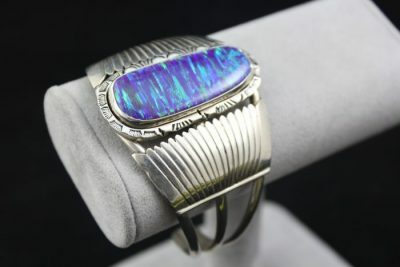 It has 40 turquoise nuggets, 5 on each buckle. 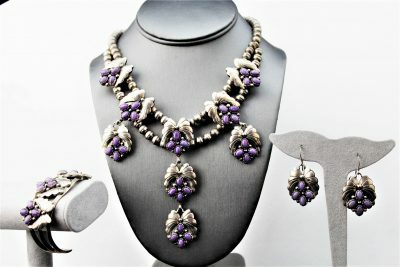 Very nice and simple design. 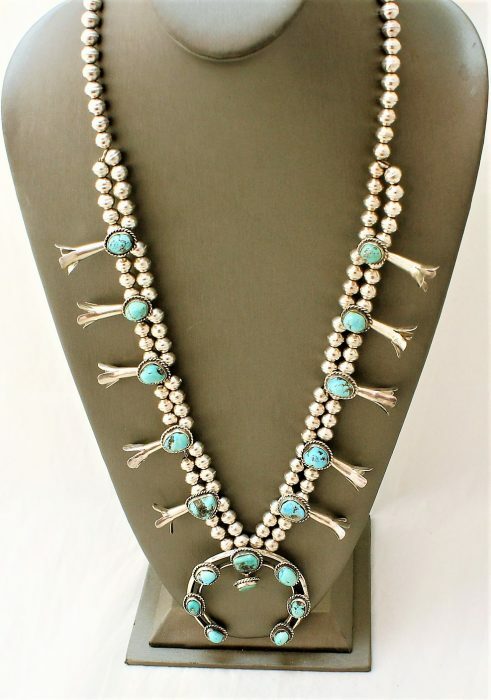 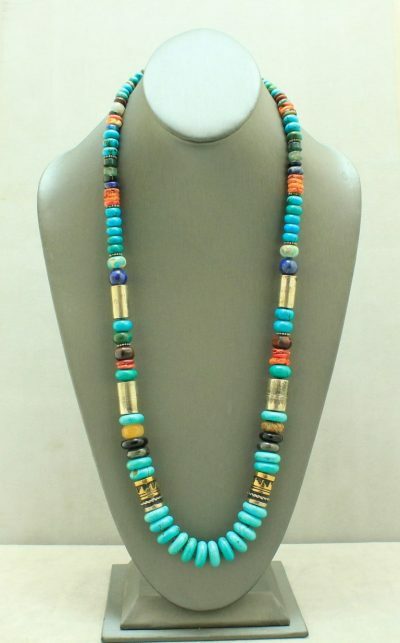 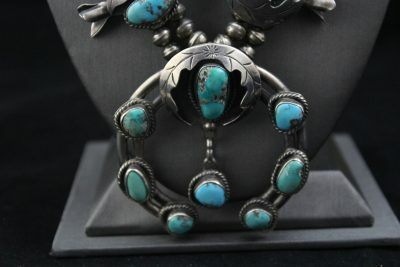 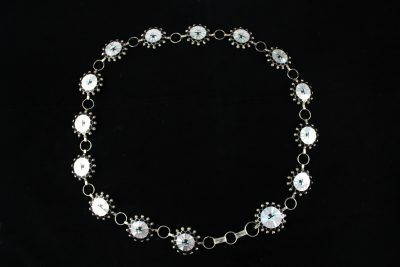 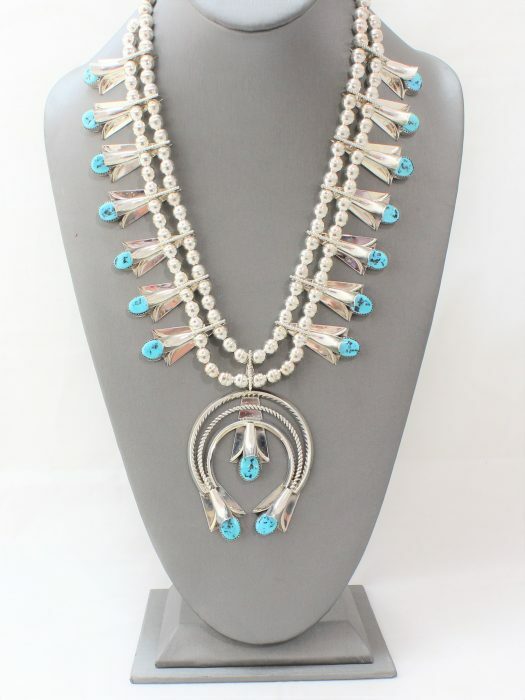 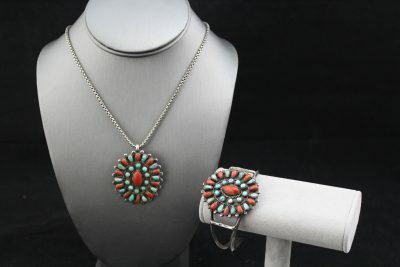 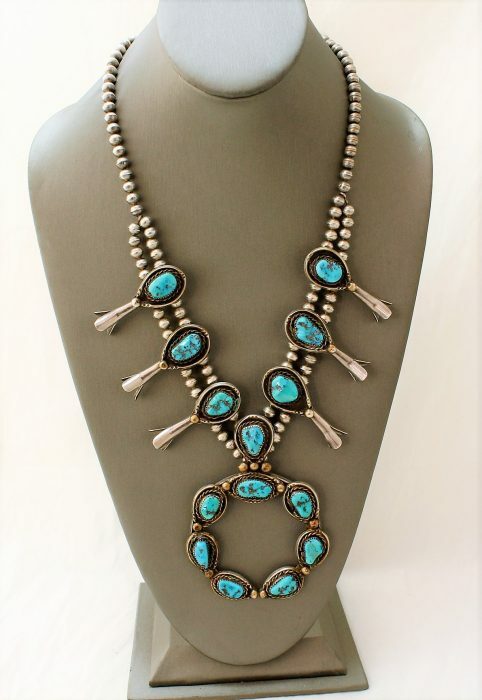 Beautiful Native American squash blossom necklace. 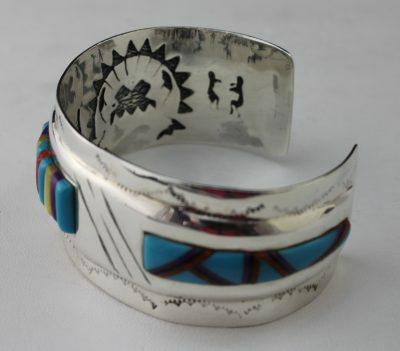 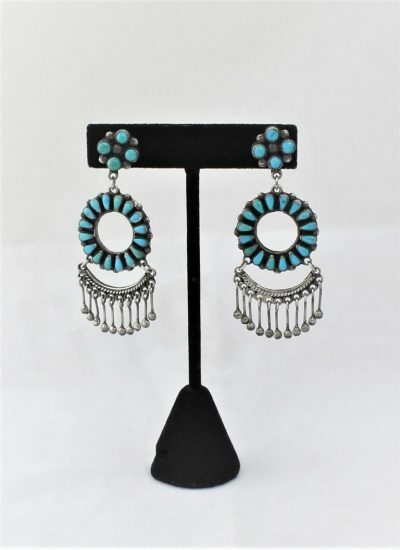 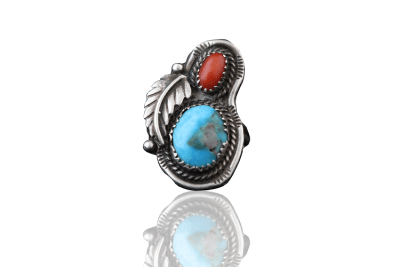 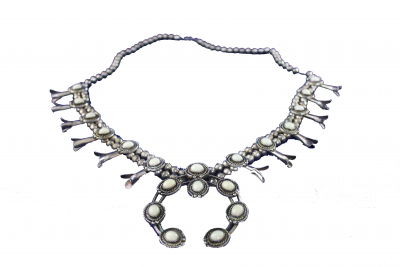 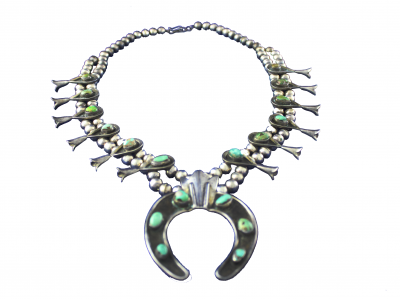 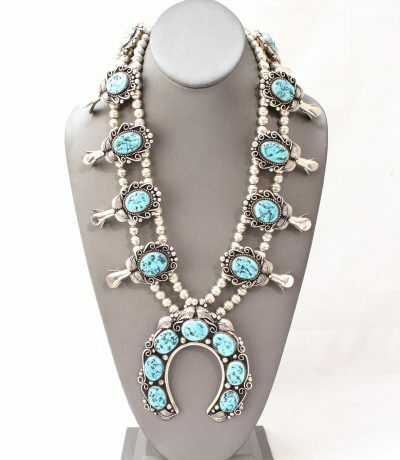 Features an overlay of Native American symbols on silver medallions. 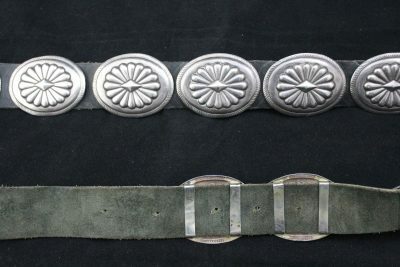 There are a total of 9 medallions with the center one being the largest.